A Kotaku tipster supposedly took a screenshot of a Walmart computer displaying a deal that throws in a free $100 gift card with purchase of the $200 Xbox 360 Arcade system. It also shows a Sony Blu-ray player for $149. 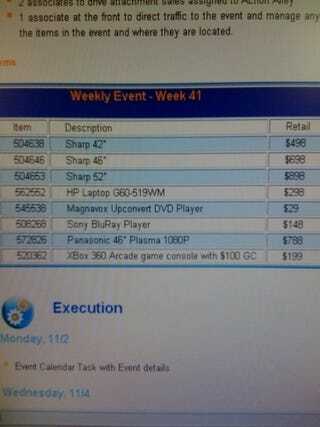 Xbox 360 with $100 Card for $200 This Weekend?